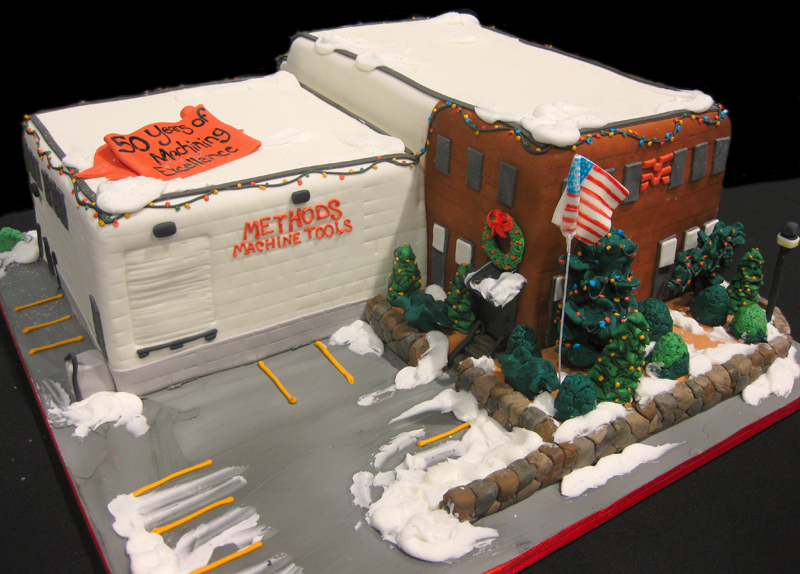 For their 50th Anniversary celebration Methods Machine Tools in Sudbury contacted us to create a replica of their 50yr old building. It was such a fun cake to create and decorate for Christmas. When we delivered the cake there wasn’t any snow on the ground but after this weekend’s blizzard this may now be a more accurate depiction. 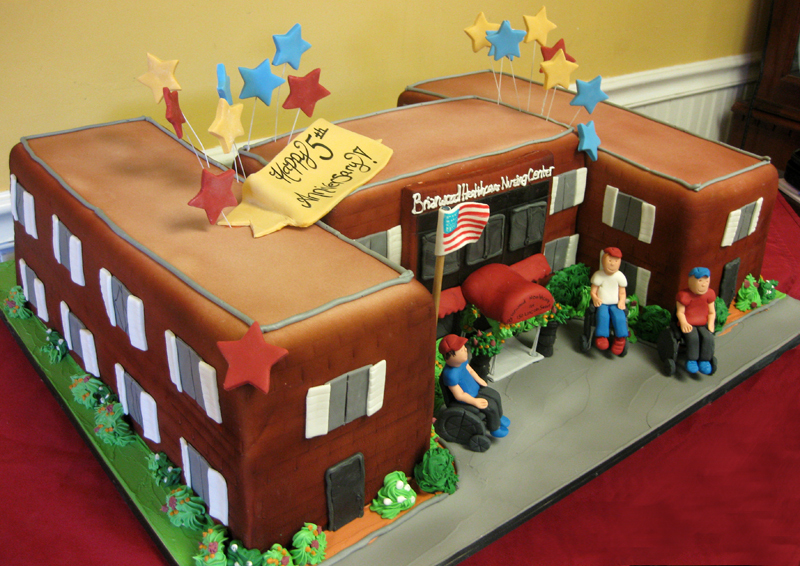 This cake was for a 5th anniversary for Briarwood Healthcare Nursing Center in Needham, MA. Supposedly there are 3 guys who always hang out in front of the building, when the weather is nice, so we re-created them as well. The cakes are wonderful! I love the details in the Nursing Center WOW. I would love to find out how many layers of cake did it take you to get the height on the last cake. Hope you don’t mind :/ Thanks in advance.